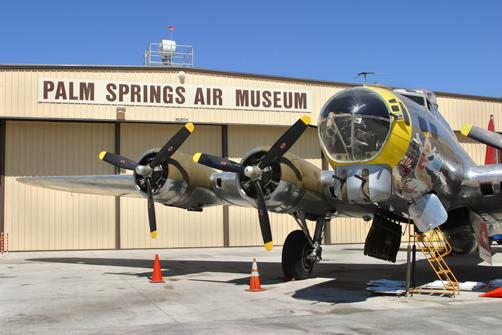 PV mounting system manufacturer Renusol America will provide its VS mounting system and frameless module clamps for the solar power installation scheduled at the Palm Springs Air Museum in California. The Atlanta-based company’s Renusol VS system and clamps will be used as part of the solar power solution contracted by Sunworks, a design-build renewable energy firm. Sunworks, with support from Tiger Electric, designed the roof-mounted 340 kW system for the air museum. Among the challenges in engineering the project was the FAA-required glint/glare test requiring the elimination of any potential glare within the sight lights of a nearby runway. The Sunworks team, formerly known as Solar3D, worked closely with engineers from Stion Corporation, manufacturer of the CIGS solar PV modules, in order to ensure full compliance with this complex FAA standard. Stion provided 2,354 of its Elevation Series high-performance CIGS frameless modules for the installation. Along with superior aesthetics, Stion projects that the CIGS module, with its increased productivity, will deliver up to 10% more energy than silicon-based modules would over the system’s 25-year life cycle. According to Stion, when a new hangar was designed to display vintage combat aircraft, the museum decided to go green. In the hot, sunny Southern California climate with high temperatures of 120 degrees, the museum estimated it could save 20% on its $100,000 annual electric bill with a rooftop solar array. 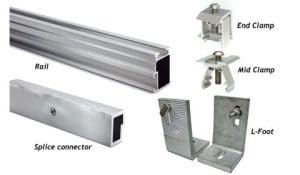 The Renusol VS “one size fits all” mounting system with preassembled components was selected for the installation along with Renusol America’s VS Module Clamps, a PV mounting technology which was developed specifically for Stion’s 6mm frameless, “glass on glass” CIGS modules. “Working with Stion enabled us to engineer an effective and low-cost solution for a complex installation,” said Sunworks Danny Mitchell, adding this seamless installation will save time and money. The rooftop solar array is expected to offset 100% of the annual electrical usage. Together with their PPA partner, the museum will enjoy significant savings on its annual electric cost. « Why Measure CO2 For IAQ And HVAC?